Handbags can help you change the look, mood and message of basic garments, and update the look of you time-tested classic clothes. Handbags have the power to upgrade less quality clothing, or downgrade even the finest of clothes and your entire appearance. When you want and need visual variety, handbags add the needed interest and individuality to an outfit and provide an important spark to your personal style or unify the look of your outfit without going overboard to the point of creating conflict or chaos, they make you less predictable, more interesting and attractive. There are around 35 types of handbags, each designed in different sizes and meant for different purposes and occasions. You can also consult to your personal shopper to select the best handbags for any occasions. Before making a choice of bag, consider the occasion and your comfort level. Keep in mind the time, place and type of the event, whether it’s a casual day event or a formal evening business party. For e.g. 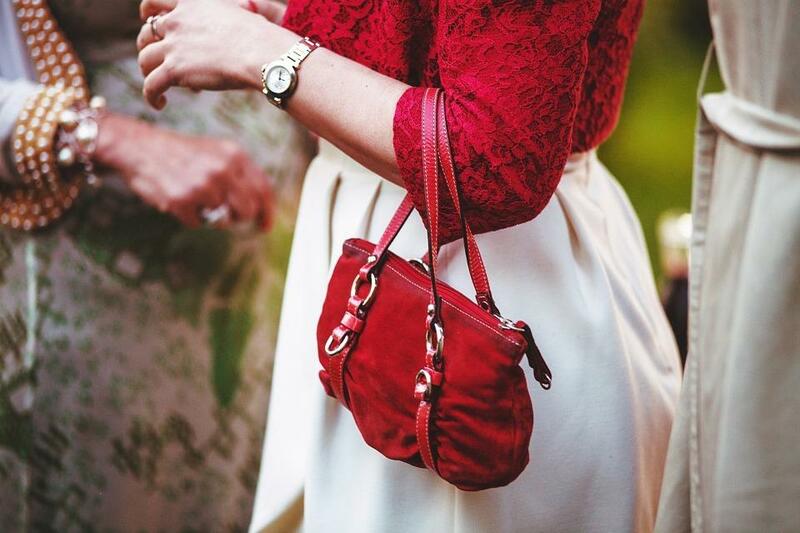 Don’t pair a casual canvas tote bag with an elegant silk evening dress instead of a clutch. They just don’t work together. Make sure the handbag is well structured and high on quality. Choose pure leather bag over faux leather, as they are more durable, stylish and timeless. Avoid handbags with huge logos, as they are distracting, and take away attention from the whole you. Select basic designs, with classic styles, smooth textures, neutral colors and simple patterns. Make sure you can coordinate the piece with many different outfits to give you the versatility you need. For e.g. Animal prints like snake print or leopard print are classic patterns, however these prints don’t go well with medium frame bags meant for professional purposes if you are looking for versatility. They are best used at cocktail parties and dinner dates. Choose the right size of bag for every occasion. Consider the basic essential items you need to store and how much you need to store in your piece. Evenings bags are small in size where as day bags are quite spacious. For e.g. Like how you can’t carry your swagger and satchels to gyms or beaches, similarly you can’t carry your backpacks or duffle’s to parties. Your outfit and handbag must look like they belong together, and must be blended in or coordinated in terms of style lines and shapes, colors, fabrics, textures and patterns to create the essential balance, pleasing proportion and harmony with the outfit. Also learn to mix and match in your mind the clothes you already own, while selecting the handbag. Listed below are a few common occasions in your everyday lifestyle along with the handbags. How did you like the post? Did it solve your bag dilemmas? Share your thoughts, views and ideas in the comment section. I love my classy solid colored handbags, I feel they are quite safe when it comes to styling. Great tips, after reading this one I feel like experimenting more with other styles too. Handbags are my favorite accessories. You tips on everyday lifestyle is useful. Time to try with some of those ideas. Previous Previous post: Consumer Durables’ Major salutes armed forces: LG India Press Release!